Got a new projector and tired of using it on a plain wall? Most of the enthusiasts don’t like the quality of the images on the wall. 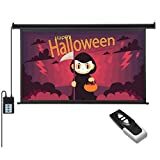 All you need is an excellent quality motorized projector screen. There are many options available on the market with different features and price-tags. 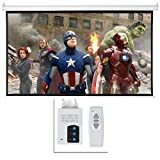 You got two choices; either you do hours of research on the working of each projector screen, aspect ratio, color connoisseur and other technical information, or read on this article which aimed to provide you the sufficient information on the best projectors screens. From technology to budget and beyond, we have tried to discuss each and everything so you can make a wise decision. We made sure that there is something for all kinds of consumers. 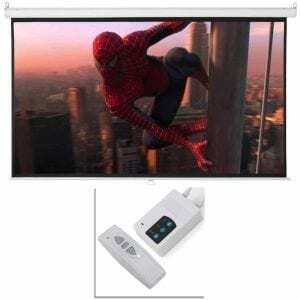 Whether, you want to save some bucks or you don’t want to compromise on the quality, here is our list that will guide you on how to purchase the best-motorized projector screens online. 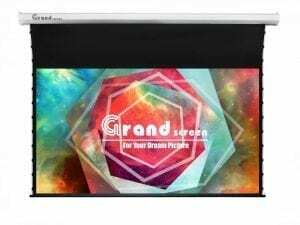 For a true style theater-style experience, the Grand Screen’s projector screen is best. 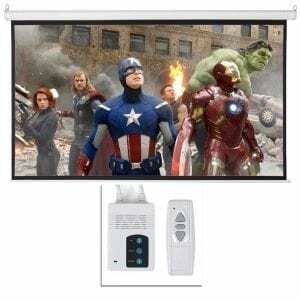 It is a 92″ Electric Drop down Tension Video Projection Screen and has a wider display. A high-quality tubular motor is integrated. You can operate the screen through a remote control. Black masking borders improve the display quality. Dimensions: 92-inch Diagonal.16:9 Aspect Ratio. View Size: 80.19″Wx45.11″H.G.W. For today’s HD and ultra HD projectors, a screen like this one serves to be the best choice. 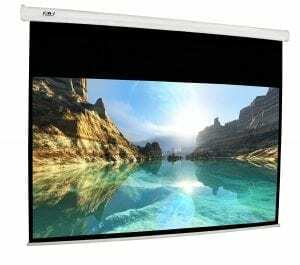 This motorized screen features a matte white PVC display. It is an ideal selection when the ambient light can be controlled. It is also easy to clean; only soap and water are required. 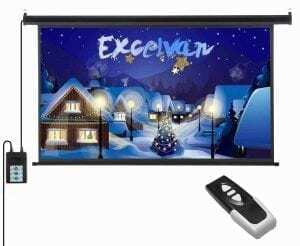 EXCELVAN screens are known for their sharp display and ultimate customer satisfaction. This screen has a natural user interface; hence anyone can use it easily. 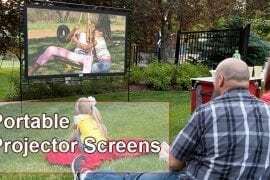 The screen offers a bigger and wider viewing area. It is highly compatible with all kinds of projectors and suits educational as well as business or live broadcast purposes. 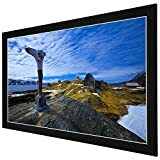 Dimensions: 16:9 Screen format and diagonal 100″ offers 87.17″ x 49.02″ viewing area, over 160 Degree wide viewing angle. FAVIs screen comes with L shaped bracket for easy mounting on any wall surface. This feature is absent in many other models. The electric motor is extremely quiet during this operation. Moreover the electrical up/down limits are also easily adjustable. You can operate it with a control pad or can use one of the two provided remote controls. A featured 100” Motorized screen ARKSEN’s foldable screen offers the best visual experiences. The image display and color reproduction features are of high quality and result in sharper and brighter displays. 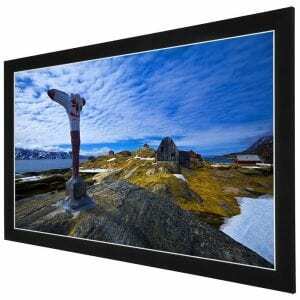 High quality matte white surface provides a larger viewing area and is suitable for professional-level presentations. 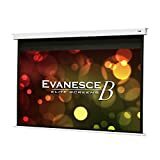 If you want to get rid of that noise of the motor while rolling up and down of projector screens, then this is just the right one for you. It features quiet yet smooth operation. The high-quality motor extends the operational longevity of your screen. It can be operated with a switch as well as a remote. 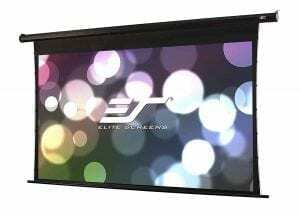 One of the best brands for projector screens is Elite, and it has a variety of screens with different features. This one includes a special tab-tension system. 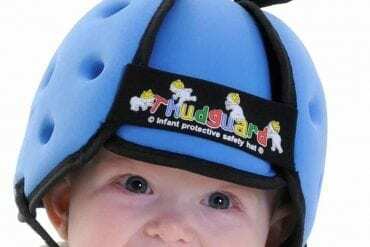 This prevents the formation of wrinkles and ensures flat and wide viewing area. 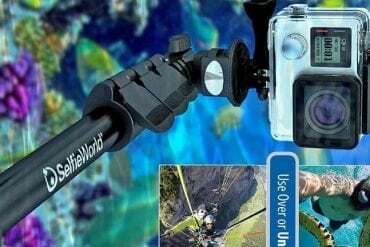 It is a fully assembled product and plug-and-play ready. Although it is a bit expensive, however, all the money spent is worth because of unique features. It comes fully assembled, and so you only need to plug and play. The screen material is MaxWhite, 1.1 Gain, 4K Ultra HD, and Active 3D Projection Ready. It provides a display of crisp and sharp colors. 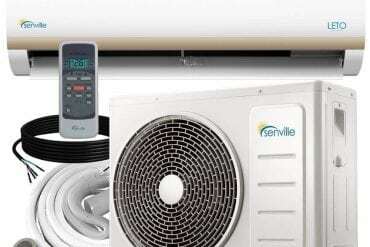 You can easily install it on the wall or ceiling with the help of the installation kit provided. It is a little expensive one, but the quality speaks itself. Dimensions: 200-inch Diagonal, 16:9 Aspect Ratios. 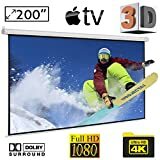 Are you tired of the dull and poor quality display of your old projector scene? Best choice’s screen can let you experience the most beautiful, sharp and clear images through its high gain black-border matte white screen. It runs smoothly without any noise and comes with a remote controller. 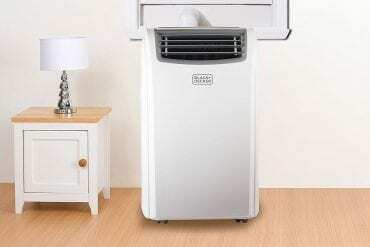 It is an ideal pick for school or office presentations and homes. 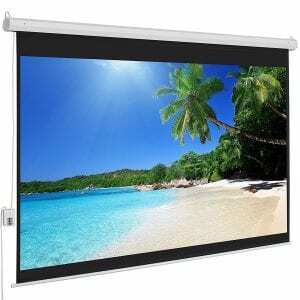 For the best and most professional style presentations, Elite’s motorized screen features an ideal design. This is the best solution for you if you want the concealed presence of the screen. Along with that, the screen is composed of MaxWhite fiberglass screen material which displays clear images. The tubular motor assures the excellent working of the screen. An infrared controlled remote is included in the package so you can control it as per your convenience. It also comes with other accessories like radio frequency remote, wall switch, etc. To sync it with other 3rd party controlled devices is simple. All you need is to connect it via RJ45 port. What else would you need? 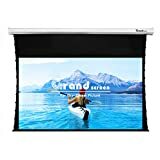 A projector screen is something that will stay with you for long. A great cinematic experience at home depends on the quality of the screen. The poor quality screen may come at low prices but they won’t long last, and the picture quality will not be impressive. 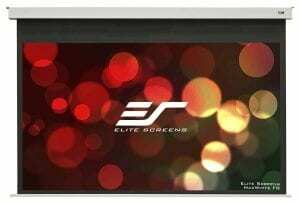 After extensive research, we came to this point that the Elite Screens Evanesce B gives the best value for the money. It enhances your multimedia experience, and its sleek design makes your room beautiful. But if you are a budget-savvy person, you should go with the Grand Screens Tab-Tension. It will serve its purpose without breaking your bank. Our Analysis of these motorized projector screens is unbiased. We tried to showcase only those products they will fit your requirements and last longer so that you don’t need to replace them now and then.